Lazies, With Valentine’s Day right around the corner, here is a simple project that you can customize for a personal and special gift. 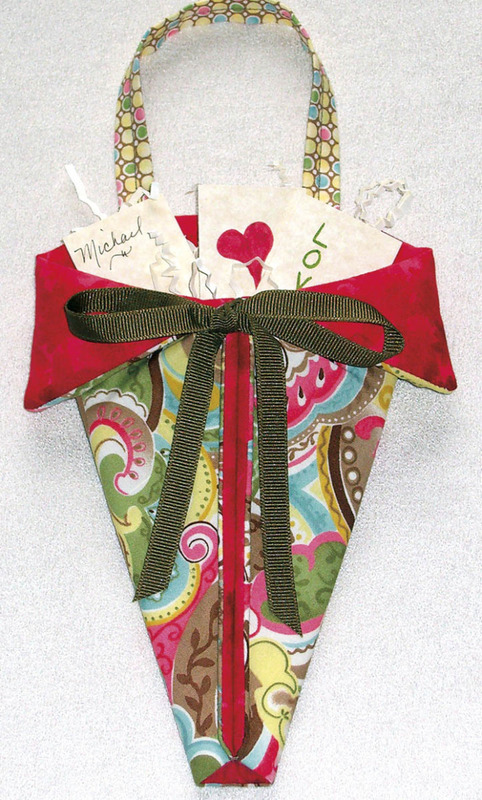 Make an A-Door-Ables and fill it with notes of love or friendship. Your special Valentine can open a note a day and think of you! Our A-Door-Ables design (LGD109) is a simple and decorative pocket you can fill and hang anywhere. 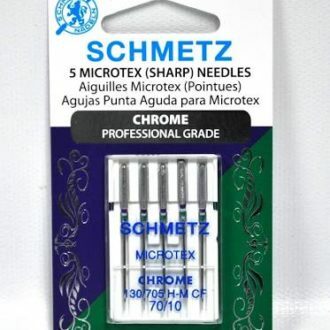 The pattern includes two sizes. 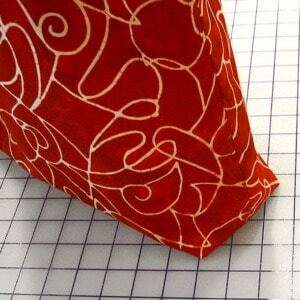 I used the large size and the Posh fabric line by Chez Moi from Moda Fabrics. 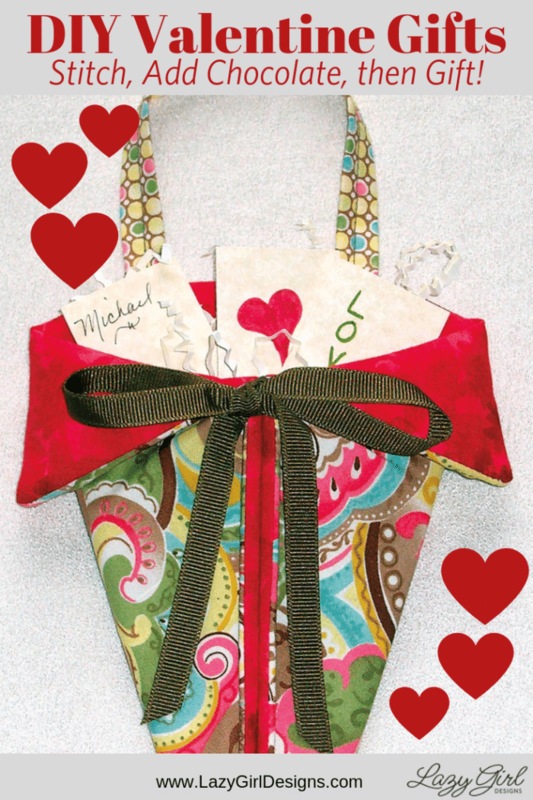 For Valentine’s Day, I filled one of these special pockets with notes of love and special memories for my hubster Michael. Valentine’s Day A-Door-Ables filled with notes of love. To make cards, find some coordinating colored paper and cut it into small rectangles about 2 inches by 3 inches or the size of a business card. 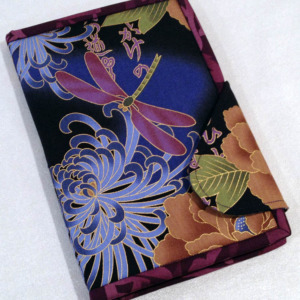 Write messages of love, kind thoughts, favorite quotes or special memories on the note cards, then fold the cards in half and tuck in the A-Door-Ables. Or type all of your messages and print them onto special paper and cut into cards. Decorate the cards fronts, too. I placed some filler material below the note cards, in the bottom of the A-Door-Ables. 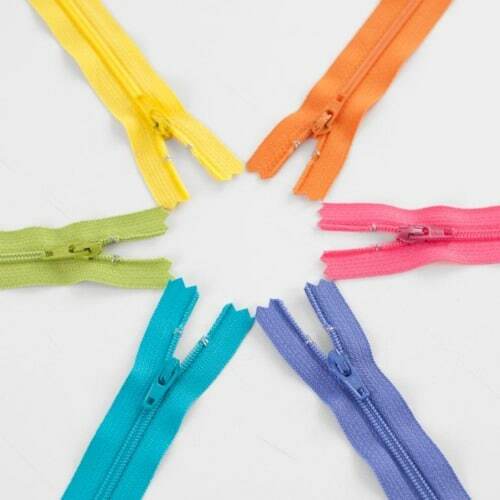 Hang an A-Door-Ables on a door knob, drawer pull or anywhere you like. You can even thumbtack it to a bulletin board. Hang from the nightstand for a great place to hold your eye glasses overnight. Place near the door for your keys. Yes, the A-Door-Ables is open at the bottom. 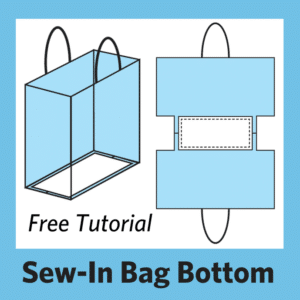 And you can stitch it closed, stuff a little stuffing in there to clog the hole, or leave it as is depending on how you choose to use it. – Individually wrapped chocolate or other candies. – Wrap some chocolates in cellophane, tie with a ribbon. 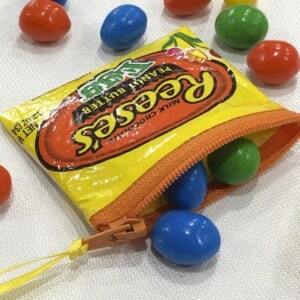 – Fill with scented potpourri and stitch closed for a sachet. – Fill with treats for a pet lover. You’ll need a small amount of fabric and some goodies for decorations. 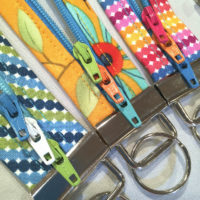 I used three coordinating fabrics for each A-Door-Ables and a little ribbon or yarn. 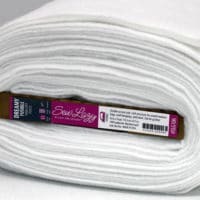 Grab a couple of fat quarters of fabric and you’ll have enough to sew up a handful of these versatile favorites. My project is from a simple concept that can be adapted to lots of hand crafted items. Get the A-Door-Ables PDF pattern here, then grab some wonderful fabrics, make a special something, put some love notes in it, give it to your honey. What are you making for Valentine’s Day? Post a comment and share your ideas with me and the rest of our readers. Join me on Pinterest here, remember to ‘Follow’ me there, and pin this post and pics to your Pinterest boards. 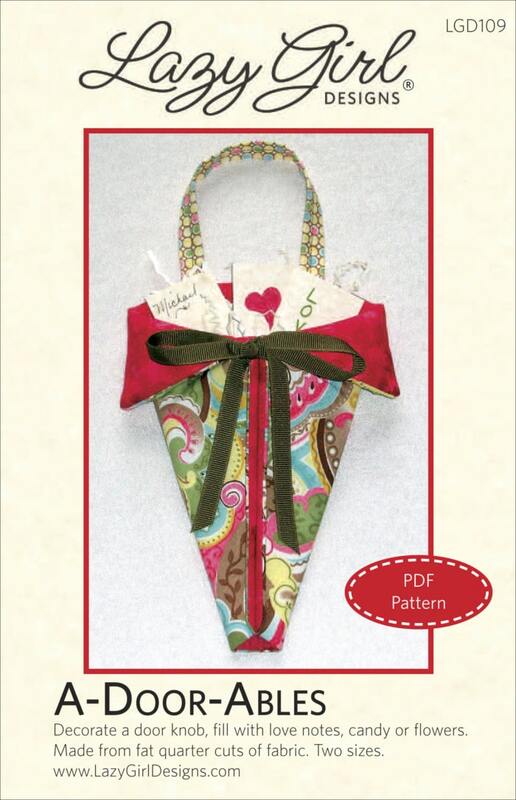 I really liked the Valentine pattern, but it is so close to Valentine’s day, (and I’m out of town for a while), I can’t order it to make it and there is not a Quilt shop near me that sells your patterns. I would have ordered it from someone but do not have the time. Would have liked to see the project a few weeks ago. Thank you. I’m so glad you like the Valentine’s idea. Consider using a pattern you already have on hand. 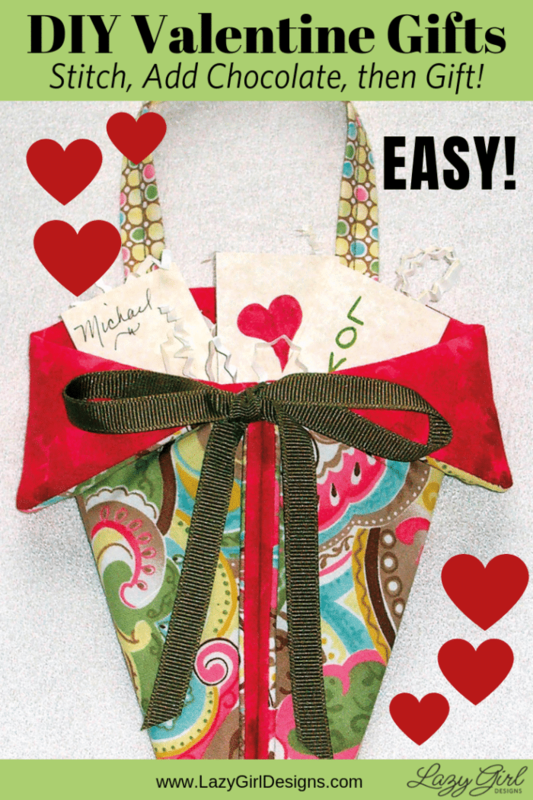 Maybe use our With Love Tote and make a small gift bag to fill with love. Just love, love, love, these! 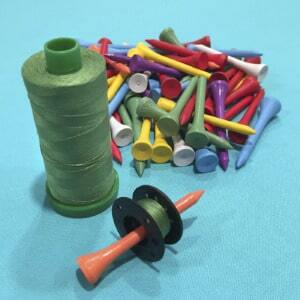 I think I will take your idea and make some for my doll making buddies and fill it with pieces of ribbons & lace that they can use on the small doll clothes. Thanks so much for the great idea! 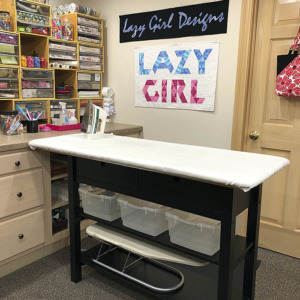 What a great idea…another use for one of my favorite LGD patterns!! Thanks Joan! I love this! I’ll have to see if our local quilt shop carries the pattern. Too late for me for Valentine’s Day but perhaps for Easter. Love the idea. 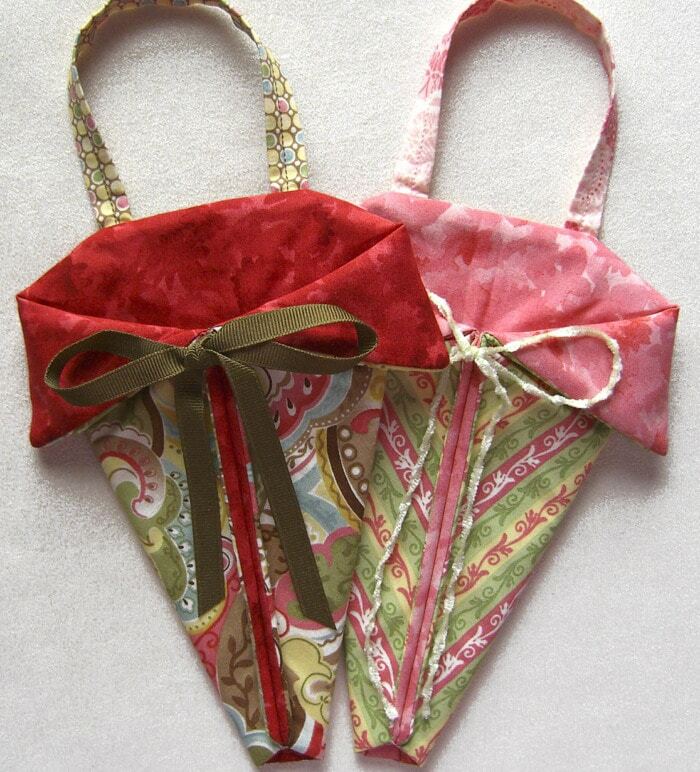 Would make a great wine bottle gift bag or in Carrot colors for Easter Treats !